What’s the most important thing to you when selecting a new pair of glasses? If you’re like most people, you probably thought of the frame first. However, the lenses are far more important. Stunning frames with lenses that don’t help you see better would be a disaster. The choices you make with your lenses will have a huge impact on your vision quality, safety and comfort, not to mention your appearance. For that reason, it is extremely important to learn all that you can about lenses and your choices so that you and your eye care specialist can make the best choice for you. When selecting lenses, you should first consider your age and the stage of life you are in. This is because different lenses have different features in addition to correcting vision. Lenses for youth, for example, are designed with their developing eyes in mind. If you are selecting lenses for your child, ensure that they are no-glare lenses. They should be protective and durable. Many professionals recommend polycarbonate lenses for children. These lenses are clear and shatter proof. They also offer UV protection and are resistant to impact. People who are 40 years or older often have difficulty viewing items at multiple distances. It is therefore advisable for people in this age group to invest in progressive lenses. 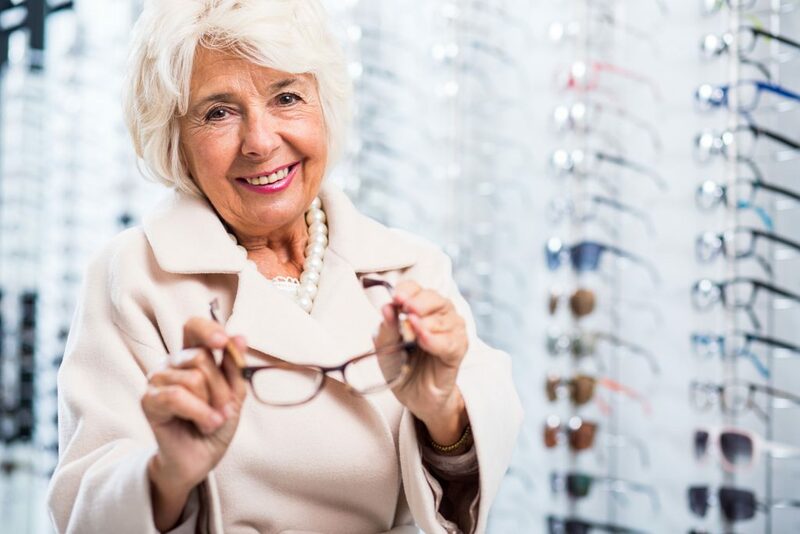 Progressive lenses are also a good option for anyone needing bifocals. They have no lines and provide a better appearance. Standard plasticThese lenses are usually thick. They are not impact resistant or shatterproof. They are amongst the cheapest lenses in the market for eyeglasses. PolycarbonateThese are thinner and lighter. They provide UV protection and are impact resistant and shatterproof. They are great for those looking for a durable and safe option for eyeglasses. These are very thin and light. They provide UV protection and are considered attractive. They can include no-glare treatment if required. It is important to discuss your options with your eye care professional in order to make an informed choice. Polarized lensesThese provide protection to your eyes from UV rays and glare. They are a great option for people who like to spend a lot of time outdoors or driving. Photochromic lensesThese adjust to different light levels automatically, therefore protecting the eyes from glare and strain. These are customized to your needs. They provide sharper and crisper vision. For more information, consult an eye care specialist in your area. Previous PostPrevious What is Recovery Like after Cataract Surgery?